Deletion, a Feign to Idolatry! The above page is from CHRISTIAN SCIENCE: MARY BAKER EDDY ‘True Estimate of God’s Messenger’ Part II 1891-1901. Below is the page removed from Science and Health with Key to the Scriptures. 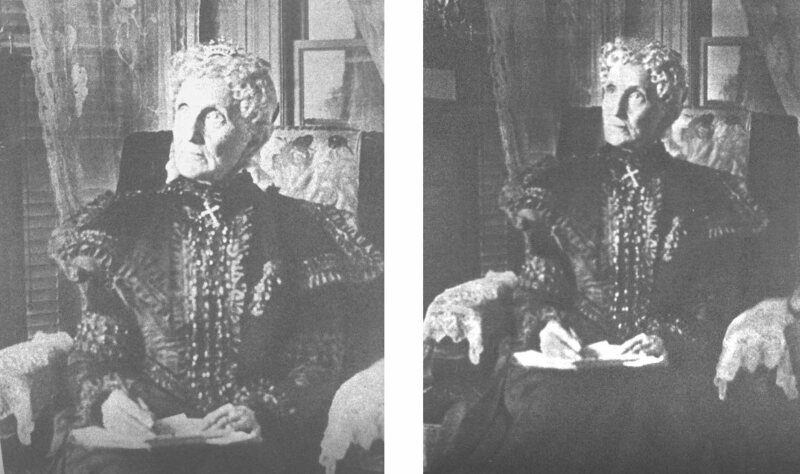 The pictures of Mary Baker Eddy in both books served as her Trademarks to these two books! 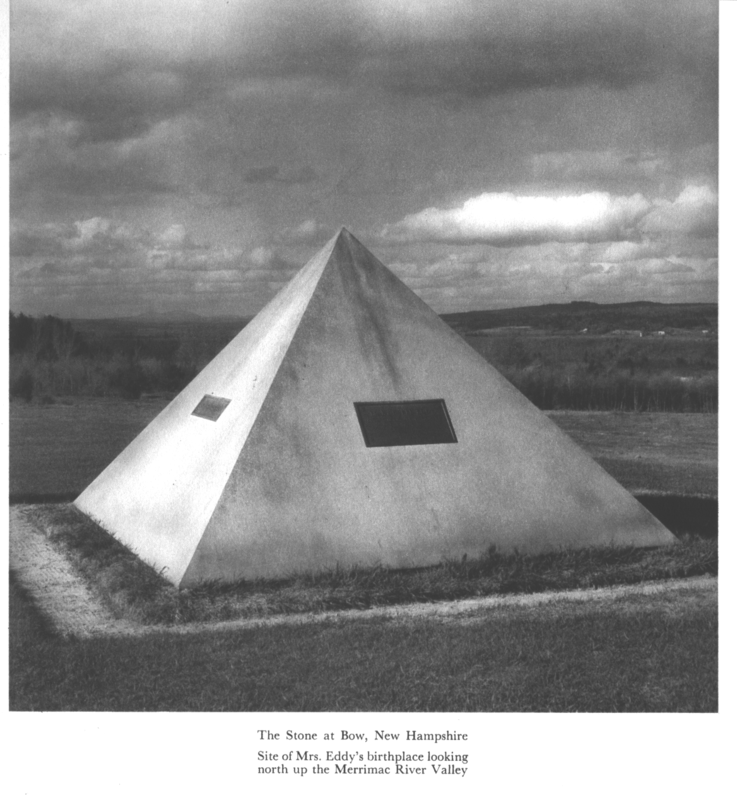 The following picture is the pyramid marker placed on the homeland of Mary Baker Eddy’s birth in Bow, New Hampshire. The reason for it being dynamited by an illegal (consisting of five members instead of the legal four members) Board of Directors is the feign that the pyramid would lead people into the idolization of Mary Baker Eddy. They felt that people should not travel to Bow to see the Holy Land that Mary Baker Eddy was born on even though millions of people travel to the Holy Land of Jesus to see where he was born and crucified. 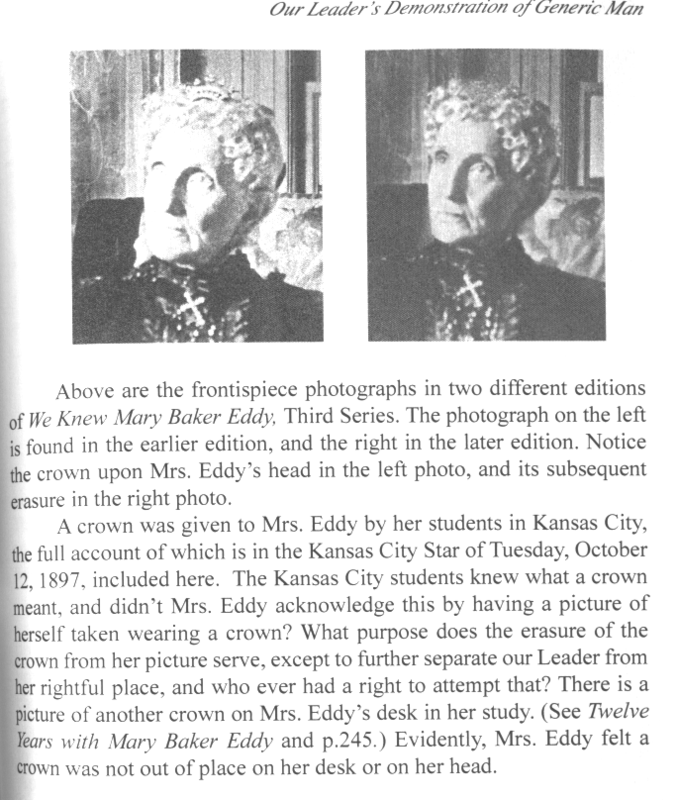 The reason why Mary’s crown was erased from We Knew Mary Baker Eddy was again do to the feign of idolatry. Photo on the left has not been tampered with, the photo on the right has been tampered with. 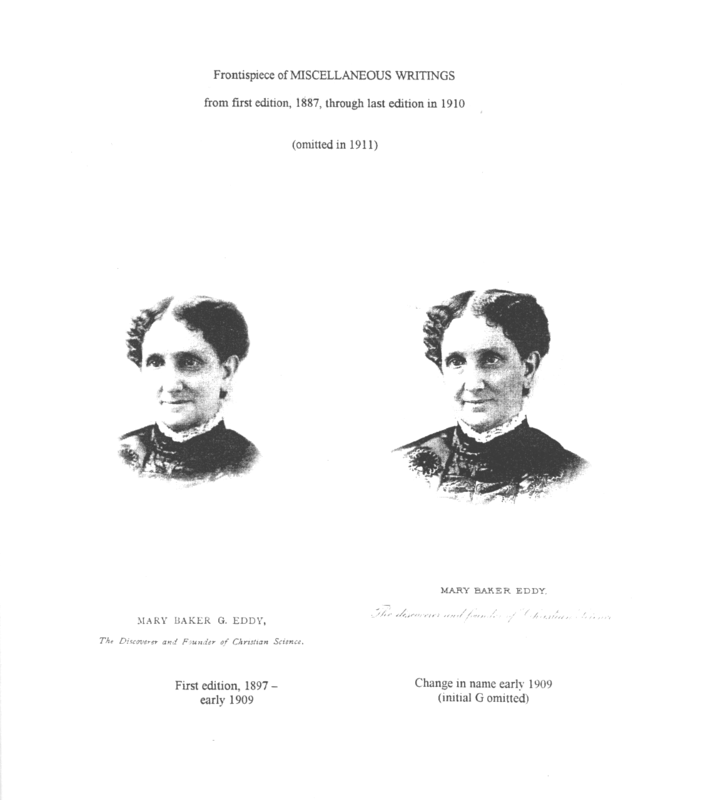 The above is from Paul Smillie’s biography on Mary Baker Eddy. 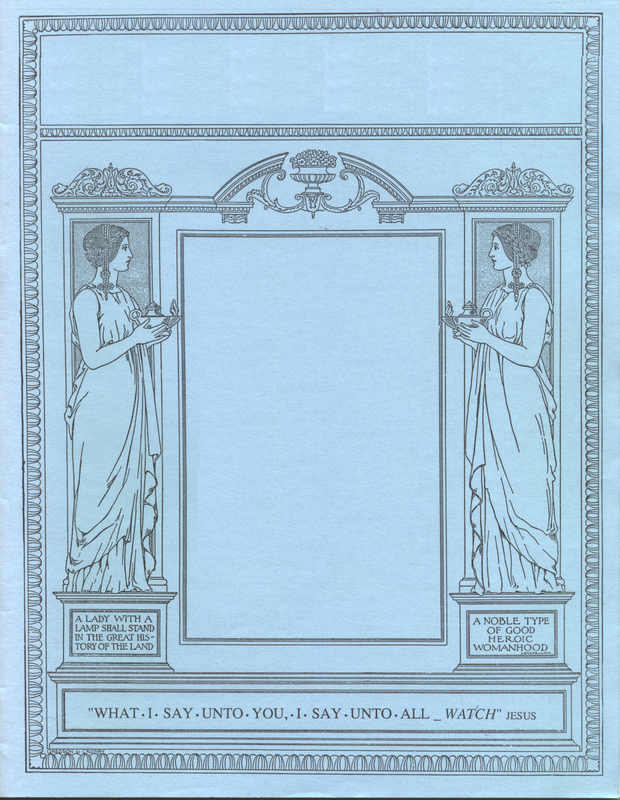 And of course, slowly over the years after December 3, 1910, the two Sentinel Women were deleted from the cover of the Sentinel that Mary Baker Eddy gave instructions to for its design. “Keeping abreast of the times” is just a feign to erase the two NOBEL women known as Mary (second advent) and Martha (third advent). See pages 47-49 of Essays and Other Footprints (the Red Book) to understand what I am speaking of. Lastly, let us not forget that after December 3, 1910 that Mary Baker Eddy’s name and office was stricken from the illegal (not approved by the hand of Mary Baker G. Eddy) 89th edition of the Church Manual. Her name and office were replaced later on after the Field complained about it. 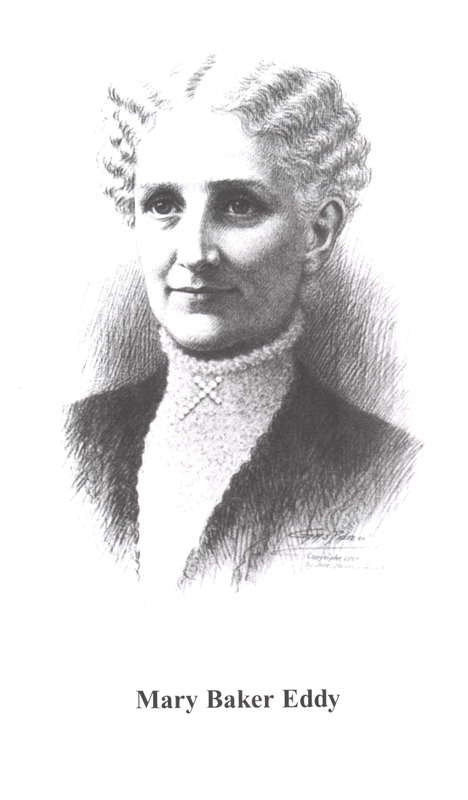 The denial of Mary Baker Eddy’s place in Bible prophecy, the denial of her being the woman God-crowned, the refusal to refer to her as Leader have all been propagated by the Boston elite, a.k.a. the red dragon of ecclesiastical despotism. This error must end! The reason why I am going to speak about these three topics in this one article is because I just received a copy of The Individual Christian Scientist – Volume XXXVII – Number 4 for April 2013 (its abbreviation is T.I.C.S.). These three topics are spoken about in this pamphlet. I will quote from the pamphlet and also comment upon it. I am not sure that all things spoken of about the Great Pyramid and the Sphinx are actually correct in Doris Grekel’s articles. I am not concerned with the correctness (according to history); I am actually concerned about the symbolism of it all. The fact that God is divine Mind, the only Mind that there is or ever has been, does mean that God is behind everything good that has been created. Man only believes himself to be a creator of things. So I feel that the symbolism behind these great creations are directly from Mind (God) via His-Her angel thoughts and it is the angel thoughts that come to man who created the Great Pyramid and Sphinx.